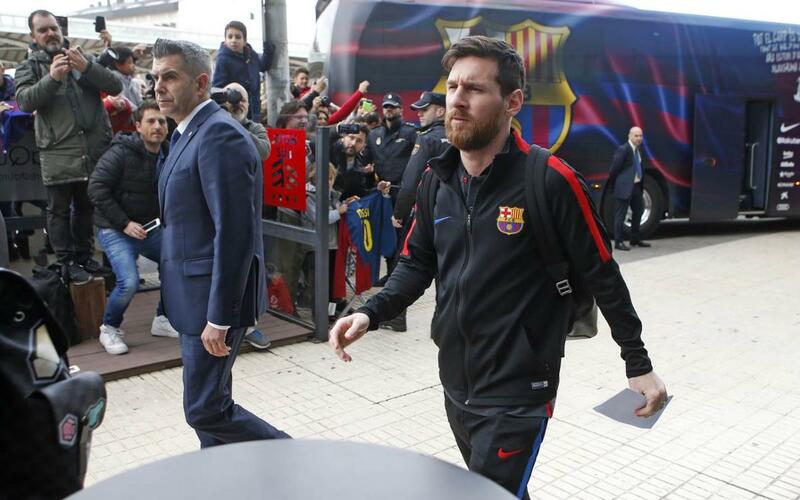 Barça are in Villarreal. Ernesto Valverde’s team travelled on Sunday morning ahead of their game at the Estadi de la Ceràmica at 8.45pm CET. The blaugranas left El Prat airport at around 11am CET and arrived in Castellón at midday. The Board of Director members Jordi Moix, Josep Ramón Vidal-Abarca and Jordi Calsamiglia, travelled along with the 18 players in Ernesto Valverde’s squad. The manager has included Barça B’s David Costas as Dembélé, Rafinha, Mascherano, Umtiti, and Iniesta miss out through injury and Deulofeu and Arda are left out. FC Barcelona will look to get back to winning ways in the league at a difficult ground against one of the best teams in the competition.